A lot of people ask how many eggs can I eat a day simply because they are on the ketogenic diet and an egg is a very simple food to cook or even bring with you to work. Many people are eating so many eggs a day that they become concerned with how many eggs are safe to eat. Are eggs healthy? The answer is positively yes. Eggs are considered amongst the most healthiest foods as they have a great nutrient profile and are a balance source of fat, amino acids and carbohydrates. The most important thing about this topic is that you are buying healthy eggs from organic pasture raised sources. Since these can be expensive, I always recommend finding a local farmer that will sell you some high quality eggs for a bargain. Now let’s discuss how many eggs can you eat in a day. With anything in life, moderation is key. Just because eggs are healthy doesn’t mean you should eat tons of them, just as you wouldn’t drink green smoothies all day just because they are healthy. So how many eggs per day? I recommend no more than 5. It isn’t going to kill you to eat more, but it also isn’t healthy to eat the same food in excess day after day. If your wondering how many eggs can you eat in a day on keto, the answer is the same. Eating too many eggs on the keto diet still puts you in a place where you could cause nutrient deficits because you are not getting a broad spectrum of nutrients. Now here is the last thing I must mention; if you are someone who is sensitive to eggs, meaning you get itchy skin, diarrhea, have your energy robbed from you, then you are sensitive and shouldn’t be eating eggs. Eggs are a highly sensitive food for many people, especially those who overeat them for a long period of time. 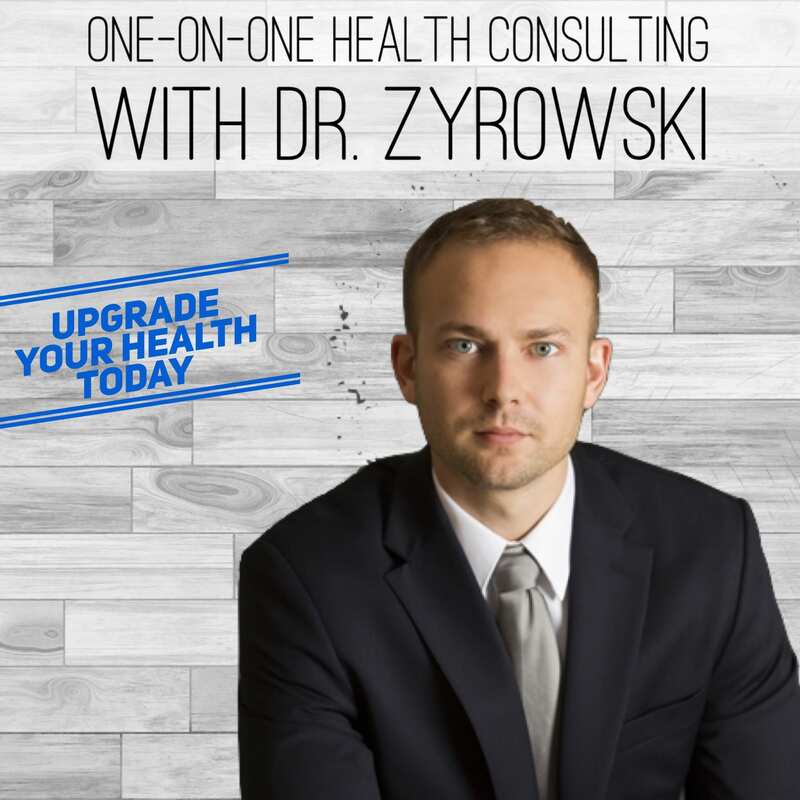 Hi ladies and gentlemen, I’m Dr. Zyrowski and welcome to the channel. If you’re new to the channel, it’s a pleasure to have you here. Be sure to subscribe and hit that bell notification, join our notification community so I can help excel your health and your life. 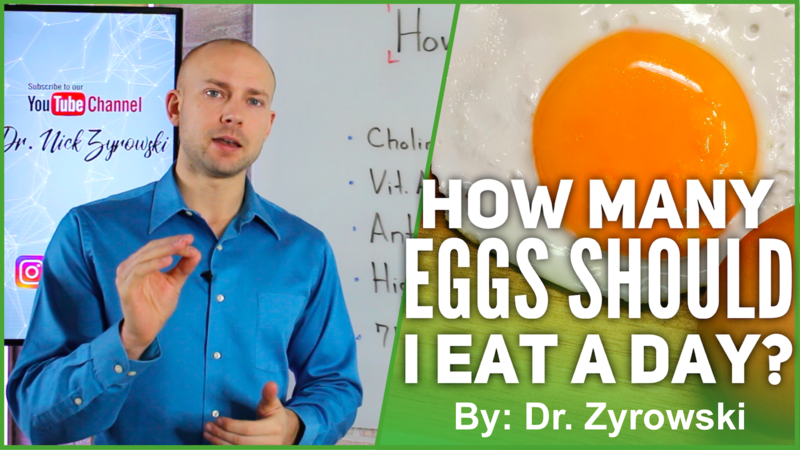 In this video we are talking about how many eggs should I eat per day. This is a question we get quite often because the egg has become very popular as a result of many people following the ketogenic diet. 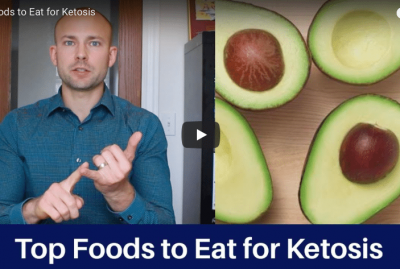 The egg is one of those perfect foods on the ketogenic diet now I will go ahead and explain in this video the nutrient profile that we find in eggs. And then of course how many eggs should you eat per day. Now when we look at conventional wisdom of eggs many people are concerned about consuming too many eggs because first of all they are concerned about raising their cholesterol but also have heard conventional wisdom of that fat will make you fat. So we know now that obviously that fat is not going to make you fat and then we also know based on science is cholesterol is not going to directly raise cholesterol in the body. Simply what happens when we consume more cholesterol from eating eggs is the liver just produces less and everything balances itself out. Now the other thing that we have to know too is that cholesterol is actually pretty important for the body. 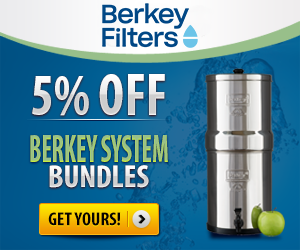 Its important for producing steroid hormones like testosterone and estrogen and cortisol. So anyway eggs have tons of benefits. Let’s go ahead and jump into a few of them. So first of all they are loaded with Choline. Choline is very important for brain health and neurological health so that’s very powerful. They also have vitamins A, B and D in them which is also very powerful. They’re loaded with antioxidants like Zeozanthan and this really important for eye health when we look at preventing macular degeneration. These different antioxidants found in eggs are actually going to help prevent these different eye issues. The next here is they are high in protein and they have a really great amino acid profile in them something that is considered perfect for the human body loaded with fat and each egg has about seventy seven calories as well. I want to mention that because a lot of people ask it. Now lets talk about how many I should eat in a day. 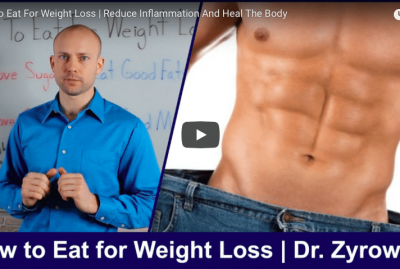 Now when we look at conventional wisdom it tells us 2 to six a week and this was just simply because people were concerned about that fat making them fat, that cholesterol raising their cholesterol. So they would have two to six eggs and then they would switch to the egg whites. We know that that’s false we are not going to pay too much attention to that. Now the next here is three a day well this is an interesting one because there’s actually a study done on people who are eating three eggs a day and they were completely healthy. Their plasma lipids were completely normal and they did just fine consuming three eggs a day. But then there was also a case study done on a gentleman who was eighty eight years old. He was consuming an estimated twenty five eggs per day. 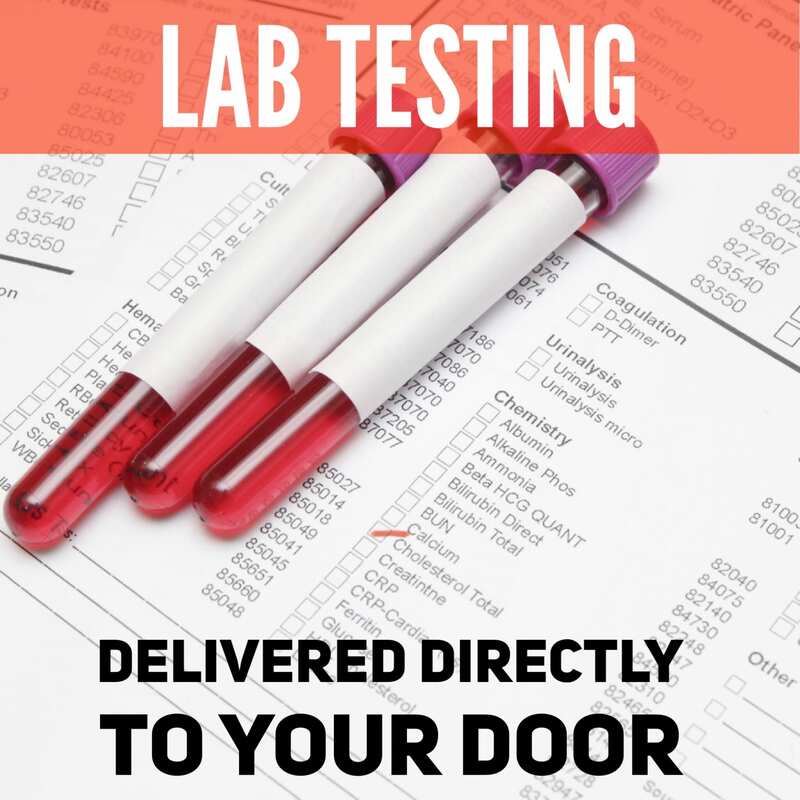 Once again they checked his plasma lipids because they were concerned about it raising his cholesterol and causing issues once again completely fine. So then how many should you eat in a day? It’s a good question because a lot of people who are on the ketogenic diet and they like the egg because it’s easy to prepare its easy to hard boil and bring a lunch consume a lot of them. So what I recommend is that you are consuming five or less okay. So if you don’t like eggs then don’t consume them at all. But, I don’t think you should over consume them so that’s why I’m putting five at that number because here’s the deal if you eat more than five it’s not going to kill you. 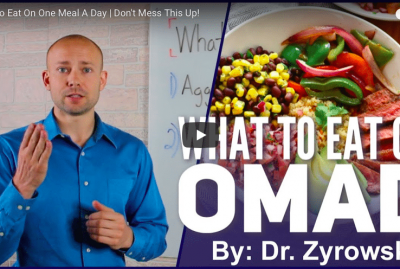 But, here’s what you are going to have happen is you are not going to getting all the micronutrients that you need on a daily basis. You’re not going to be getting your greens and your fruits and all the other nutrients that are necessary for the body to function at the highest level. And so when we look at eggs it’s alway important to make sure we consider everything in moderation. Five or less is good number to stick to and once again if you don’t like them at all don’t eat them. And you want to have some more some days it’s not going to hurt you but you don’t want to over consume eggs because you want to get those other nutrients. 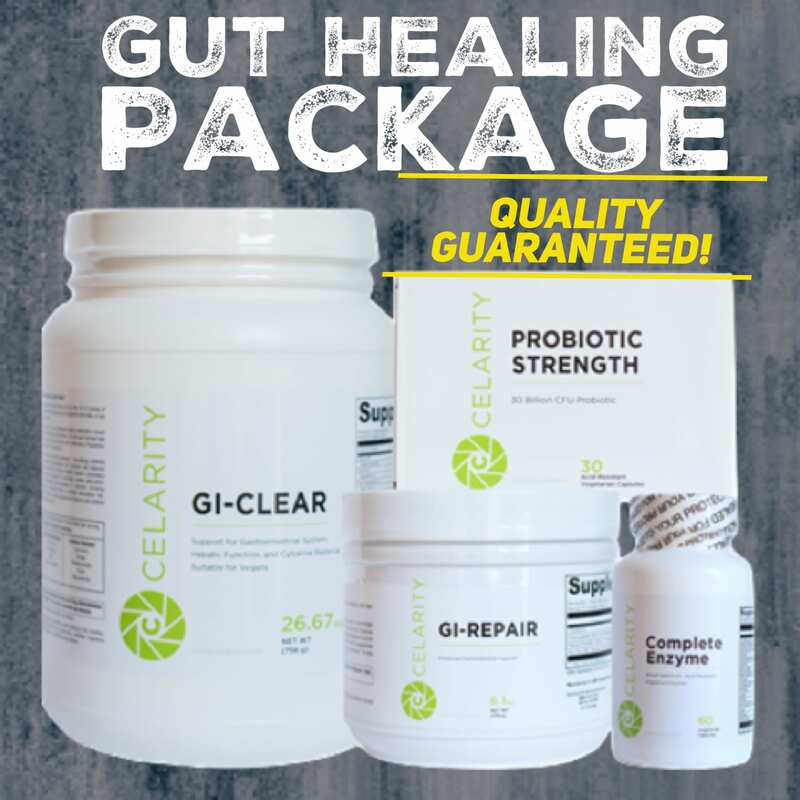 Now the other thing I want to mention is if you are someone who get bloated stomach and you get an upset stomach and itchy skin after eating eggs you shouldn’t be eating them at all because they’re going to rob you of your energy and of course cause a lot of irritation in the gut. 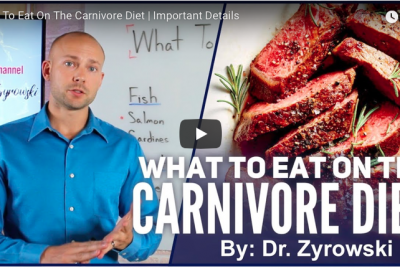 So be sure to take this video, share it with your friends and then also give this video a thumbs up and if you have any questions put it in the comments section here below and then check out my other videos on how you can improve your health. And I’ll see you in the next video. 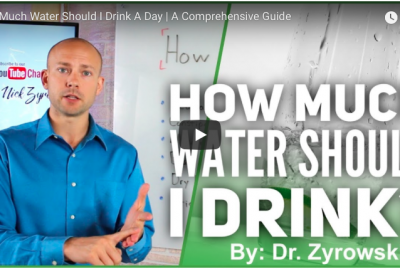 [VIDEO] How Much Water Should I Drink A Day? 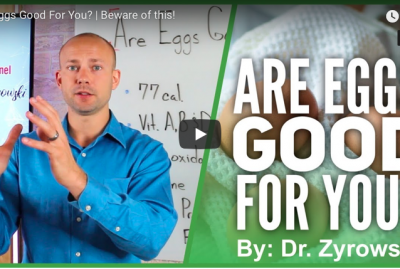 [VIDEO] Are Eggs Good For You?